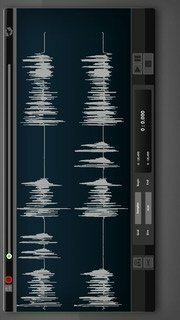 Audio Editor is a professional audio and music editor. With Audio Editor Tool you can edit and record music, voice, and other audio recordings. You can edit audio files with tools like cut, copy, paste. You can also add audio effects like pitch, reverb, delay and adjust your audio files using EQ. Upload any file supported by iTunes and save in .wav or .m4a. Simple and fast audio editing using copy, paste, cut, and reverse. Record music, voice and other audio. Recording runs in the background and when the screen turns off. Edit left or right channel separately, or both of them at the same time. Edit your audio files in the simplest way - itâ€™s all here, in your hand!